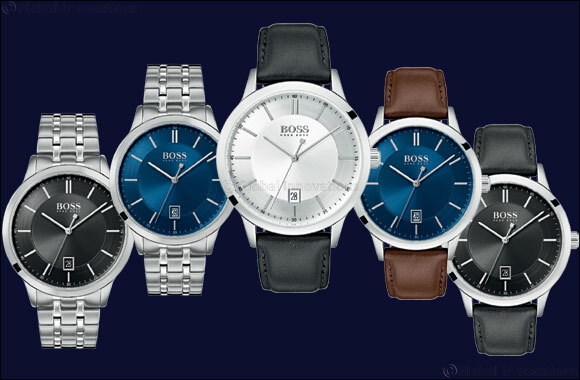 Dubai, UAE, August 09, 2018: Synonymous with sophisticated design, renowned fashion house Hugo Boss introduces the Business wear collection to their ever expanding range of men's watches. The collection is made to fit the perfect business look for the BOSS Man. Small round cases, refined bracelets and leather straps are interpreted in different plated colors to add the distinct touches to an elegant and sophisticated wear. The thin and elegant stick hands and indexes for a refined look. This family offers a vintage classic look to the BOSS Watches collection talking to people who like elegant timepieces. The price for the Hugo Boss Business Wear collection is ranges between AED 700 – AED 1000.